This is an efficient, one hour "crash course" in risk management designed for Command Officers, line officers and personnel and incident safety officers.To provide a fundamental understanding of risk management and to provide an overview of risk management from a safety and survival aspect. At the completion of this course, students will have an understanding of the following topics: Define Risk Management, Classic Risk Management Model, Operational Risk Management, SOPs, Training, Equipment, Incident Scene Actions, Survivability, Systems Approach (All inclusive)Expert one-hour overview of vital considerations in organizational risk management strategy. Frequently delivered at conferences and corporate training events. Powerful and realistic. Designed for: Command Officers, Company Officers and Personnel, health and safety officers and incident safety officers. This course will introduce the students to an overview of organizational (theory) risk management, the importance of developing and implementing a written risk management plan and the concepts and practical application of operational risk management for: Fire fighting, EMS, Hazardous materials mitigation and Special operations. This class will discuss: Define Risk Management, Written Risk Management Plan, Classic Risk Management Model, Financial and Liability Risk Management, Laws, Codes and Standards, Supervisor�s Responsibility, Operational Risk Management, SOPs, Training, Equipment, Incident Scene Actions. Lectures and group work. Course requires 4 hours and a classroom or conference room. Designed for: Chief officers, command officers, health and safety officers, incident safety officers and training officers. This course will provide the students with a basic introduction of risk management, which allows for the development of a written risk management plan for the student's organization. The development of this written risk management plan will insure that the student understands and recognizes the importance of this process. This class will cover the entire process of developing a risk management strategy and can be customized to your organization's needs.Lectures and group work. Course requires 4-8 hours and a classroom or conference room. This class will provide course instruction on the organizational (theory) and operational (practical) applications of risk management. The course can be provided in segments of one and a half (1) hours, four (4) hours, or eight (8) hours. The focus will be safety and health components of risk management. This course will include risk management issues for all emergency service personnel. This course provides an understanding of organizational and operational risk management for a fire department, industrial fire brigade, or other emergency services organization. This process will also include how to develop a written risk management plan based upon the requirements of NFPA 1500, Standard for a Fire Department Occupational Safety and Health Program. The risk management plan will have a positive affect on the organization based upon the financial, liability, safety, and health components of risk management. 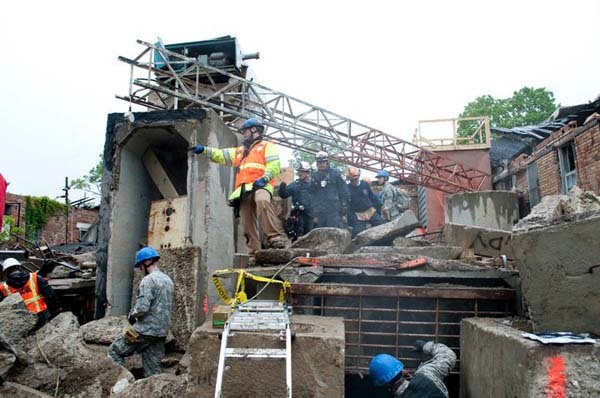 Operationally, this process will discuss the variety of services that are provided by the emergency services organization and how to develop effective risk management strategies and tactics. The Incident Command System (ICS) and a recent variation, the Incident Management System (IMS) are designed to provide a common operating system that can be used for managing any type of incident. ICS is by far the most universally used and accepted of the two.ICS is a management system based on several important philosophies. One is that the Incident Commander (IC) should manage the system and let the system mange the incident. Another is that the most qualified people, not necessarily the highest-ranking people, should fill each position. A third is "Management by Objective." While these philosophies are not new and may be forgotten or ignored in day to day operations, they become of extreme importance in large or complex incidents or events.Any size emergency operation, whether it is a single car accident or a major natural disaster, can be managed under the ICS system. The system is just as easily adapted to non-emergency events such as a major public event or a VIP visit to an industrial facility. Federal agencies such as the National Park Service, the National Forest Service, and others use ICS for all such operations. Many state and local governments, volunteer organizations and private sector businesses have adopted ICS as the operating system of choice. Probably the most important reason to use ICS is the ability of the system to accommodate and use multiple resources from multiple agencies in an effective and efficient organization. Multi-agency and multi-jurisdictional events are the most troublesome to manage. The ICS system, if used properly, does this flawlessly.SPEC RESCUE offers ICS training at any level and for any organization, public or private. Courses range from a 4-hour orientation to a full, 40-hour operational course. They can be tailored to meet the needs of business and industry, government and military agencies, and volunteer organizations. Types of incidents that can be addressed include fires, HAZMAT incidents, aircraft crashes, technical rescue, search and rescue, law enforcement incidents, natural disasters, and other emergency as well as non-emergency events. 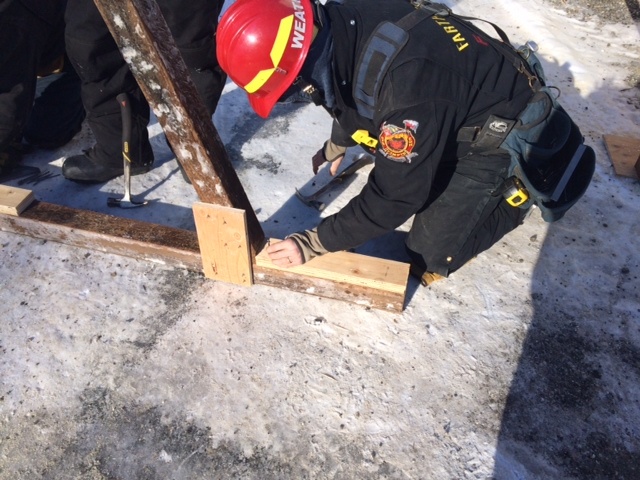 The goal of this course is to provide fire officers with an understanding of the command operations at a structural collapse incident. Upon completion of this course, students will have an understanding of: The Incident Command System Organizational Structure, Response Resource Capabilities, Scene Management: Factors and Issues, Response Functions, Structural Collapse: Operational Phases As a fire officer, it is important for you to gain basic knowledge of factors involved in incidents of this type. It is possible for all of us to be involved in such an incident during our careers. This course should leave you with an appreciation for incident complexity and the knowledge that successful conclusion of incidents of this type depends on strong command skills and effective incident management. Many hands on activities, case studies and group work. Course requires 1-2 days (12 hours) and is held at the National Fire Academy.